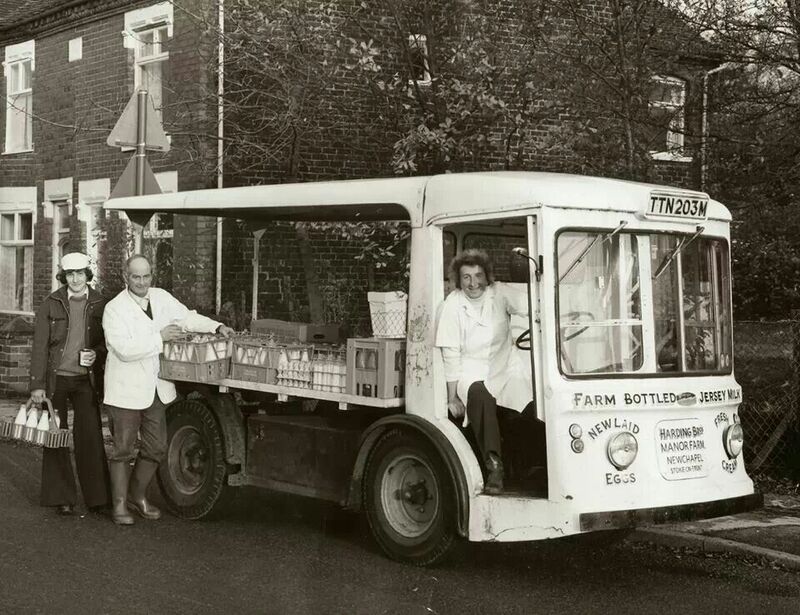 When I was growing up, everyone seemed to have their milk delivered in glass bottles, with foil tops, by the milk-man who drove a funny little milk float around. 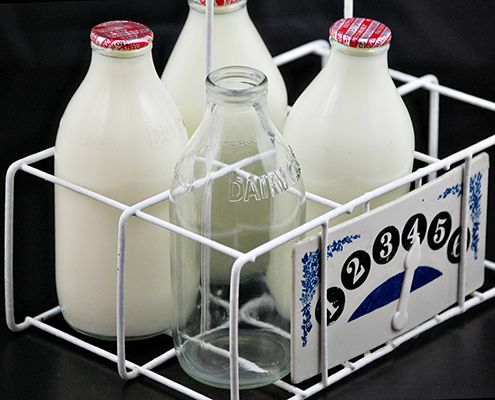 The milk-man would normally leave your required number of bottles in a milk caddy outside your front door. It was then up to you to bring the milk in before the birds started pecking at the top to see if they could reach the cream. I remember with great pride that one day the milk-man knocked on our front door and asked if he could borrow me. His milk-float had broken down and he wanted me to sit in the milk-float to make sure nobody tampered with it, while he walked down to the nearest telephone box. I was so excited sitting in the front of the milk-float while all the other children were jealously looking on. I know what you are thinking – Caramel is old! Well, I am not that old. I was born in the eighties, and back then hardly anyone had a landline telephone in our street, nevermind a mobile device. 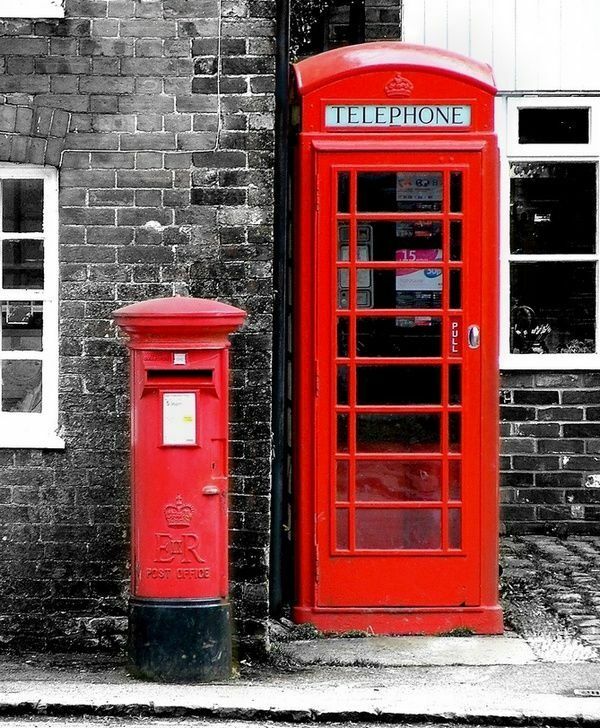 If you wanted to use the telephone, you would walk down to the nearest little parade of shops with your bag of ten pence coins. The world has just started to move at a super-fast pace. All the developments in technology make me look old, when I start to talk about they way things were when I was a lass. Many of us have fond memories of the milk-man. However, in the area I grew up in, the milk-float disappeared from our streets at one stage, which I think was around the time that new 24-hour supermarkets and budget supermarkets were appearing. People now had their own car and would go down to the supermarket and spend over £100 on the family shopping and stock up on large plastic containers of milk. I have never had to do a big family shop, but I have seen people in front of me at the supermarket with a full trolley of food for their family spend between £200-£300 at a time. I was pleased to find that in this little pocket of London, there was a very lovely milk-man when I moved here, driving round in a sweet milk float and delivering foiled topped glass bottles of milk (and even groceries if you put in an order). There is a little milk caddy outside my landlady’s front door and she sets the dial to say if she wants one pint, two pints if she has guests, or nothing if she is going away on holiday. She always has semi-skimmed milk. I don’t drink milk – I seem to have a bit of a lactose intolerance or something. I buy soya milk, cashew milk, almond milk and occasionally lacto-free milk at the big supermarket instead. But nonetheless, I did love seeing the milk-man in his milk-float! Those who have their milk delivered by the milk-man like to support a much loved traditional part of the community – the local milk-man. He was a chirpy chappy who always had a jolly greeting for you. He was faithful and reliable. The milk was always there, rain, hail, and shine (I don’t think he came when it snowed…I cannot remember to be honest). But you get the point, we all thought he was wonderful! Then one day the milk stopped coming. No milk for two weeks. Just empty milk bottles sitting outside the front door waiting to be collected. We found the contact details for the milk suppliers and called them. Apparently there was an outstanding amount owed on the account. This seemed strange because normally the milk-man would leave a note to say how much was due and my landlady promptly left a cheque for him. It turned out, we had a new milk-man. Nobody knows what happened to our old milk-man. We have asked all the neighbours. It appears nobody knows what what happened to him. It is a mystery. The mystery of the missing milk-man. Now you may think I should put this mystery out of my mind, however, there is more, much more. I am going to continue this mysterious puzzle in other posts. I have to go out to work now and will not be back at the little nest until midnight. I have been observing and making deductions and I have several theories to explain the disappearance of our old milk-man. I am eager to share with you my investigative conclusions in another post. The finger of suspicious is pointing straight at…THE NEW MILK-MAN!!! It might seem a bit far-fetched….but I think I am on to something! I have to sleep first, but I will continue by deliberations tomorrow! When I was very young if you looked or acted differently from the rest of your family, people invariably said it must have been the milkman. I was wondering weather to weave a reference in to all the children ascribed to the milkman, but I was too tired to figure out a way to explain it! There are some very funny goings on with the new milkman Sadje…I am rather suspicious of him. I will explain all after I have slept. This evoked great memories, thank you. I hope you find out what happened to yours! I bet that was wonderful! All the kids that saw you would have been jealous – trust me! Going to work with your Dad is the best (although at times I don’t know how my Dad – who was a window cleaner) coped with three of us little girls tagging along with him during the school holidays. Love this post. A great read to start my day. I’ve always been a bit salty that I missed the milkman era. There is nothing charming about gallon plastic jugs. Sadly, it ended in the U.S. long before it did in your city. Oh we loved our milkman…both when I was growing up and the local one here in the borough I am living in. I can understand how hard it must be for a company offering to deliver milk to compete with the big supermarkets. But it’s one of those little parts of daily life that seem sadly to have fled the scene. There is more to come…I spoke to the milk company again today! 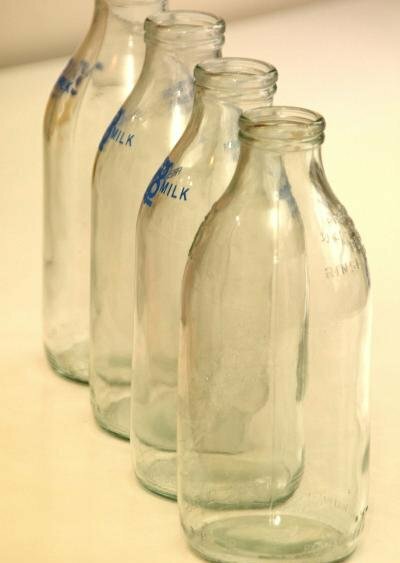 We had a milkman as I kid and I don’t think I truly appreciated it as I was the one that had to clean out the bottles. You can get milk in glass bottles at our local Whole Foods and there is milk delivery through a local farm, that I would love to use but it’s so expensive I don’t know that I can justify the expense, but I REALLY want to. 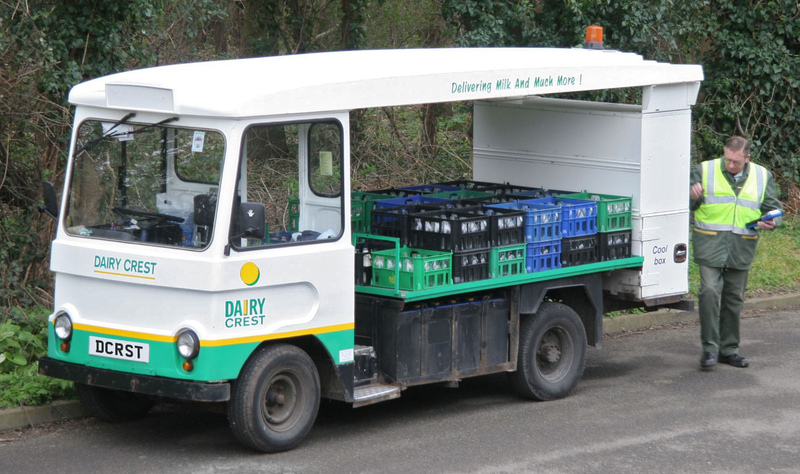 It’s lovely to see the milk-float around…but it is expensive to be nostalgic and keep the traditions going. Like Nora Edinger said, milk delivery ended in the states long before the 80s. I remember references to the milk-man but don’t have any real memories of him. I do however remember very well when I was a “young lad” growing up in Texas in the late 60s early 70s, we had chips and snacks delivered to our home. The company was Charles Chips and they came in quite large metal tins (like the ones you may see at Christmas time). They were so good. I have such fond memories of good ole “Charlie Chips”! The cans made a wonderful drum set when empty as well, but mom never put up with that very long. Thanks for the memories Caramel. Lovely to have memories like that!